Advice, Balance, Challenges: Real Talk From Girl Bosses at Old Navy | Gap Inc. 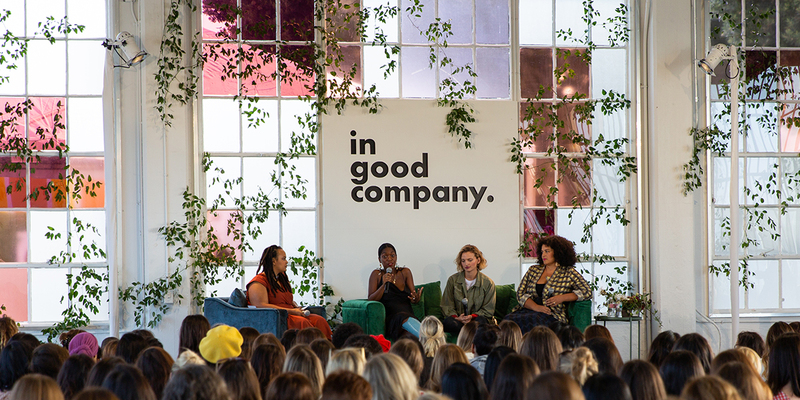 The annual In Good Company conference brings entrepreneurial women together to exchange ideas, form deeper connections and collect inspiration for approaching their lives and careers. 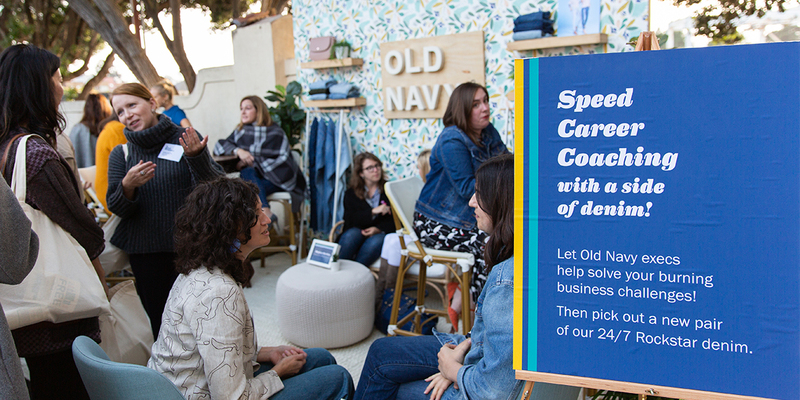 At this year’s conference, held in September in San Francisco, an all-star crew of five Old Navy leaders teamed up to share career advice with attendees in a fast, fun, speed-dating–inspired format. Read on for some of their tips, strategies and words of wisdom. Katie Lechner, Senior Director of Consumer Insights at Gap Inc. Worked at a clothing store in high school until her parents realized that she spent more money there than she made. Interned at a number of entertainment companies, then taught fourth grade before earning an MBA and becoming a management consultant. Joined Gap Inc. in 2008. Being able to role model at least decently well that a working mom can be very involved in their kids’ lives. I have two boys and I want them to see that their mom had a successful career and was able to be actively involved in their lives. It’s just about strategic choices. How do you balance your personal and professional lives? I tell people to find one or two things that are super-critical to hold on to in order to maintain your balance, and do all you can to keep them. These are your non-negotiables. My family eats dinner as a family almost every night. When my kids were little, that meant leaving right on time, every day, even if I had to make up the time later that night. Now that they’re older, sometimes we eat as late as 8:00, but we eat as a family, and my teenage boys actually talk at dinner! Seattle native who held a number of jobs there, including as a finance manager at Starbucks. Joined Gap Inc. in 2007; has worked at corporate HQ as well as at Gap, Banana Republic and Old Navy. Returned this year to San Francisco after three years leading the Greater China commercial finance team for Gap and Old Navy in Shanghai. I was in a role that just wasn’t the right fit for me — I wasn’t engaged and wasn’t performing at a level I know I was capable of. Another opportunity became available but I had only been in my job for nine months. I had to make a decision about staying in a role that wasn’t fulfilling, or risking what people would think of me by leaving earlier than planned to take a job that would engage me and draw on my skills. I made the decision to take the new job and never regretted it. Don’t be afraid to move on from something that isn’t right. Be persistent, resilient and work hard. There have been times in my career when I had the feeling that I probably wasn’t the smartest person on the team — but I proved that I was almost always the hardest-working person. Over time, my hard work and persistence have taught me there isn’t anything I can’t do. East Coast born and raised; first job out of college was as an event planner for an independent bookstore. Worked in NYC as an account manager at an advertising firm and joined Old Navy six years ago. “Have some fun with it. See what you can get away with.” I heard this advice from my first boss right out of school, and it was a game-changer. It completely shifted my mindset from one of permission to one of forgiveness. Women so often seek out permission to try something new, go for the promotion, ask for the raise, but that’s a self-assigned obligation that you can choose to discard. Is there a career-focused book, podcast or Twitter account that you’d recommend? The book Becoming the Boss: New Rules for the Next Generation of Leaders, by Lindsey Pollak. After some soul searching and traveling, attended Parsons School of Design nearly 16 years ago. Joined Old Navy seven years ago; previously was in design at other sought-after brands including Anna Sui, Marc Jacobs, Urban Outfitters and more. What motivates you to keep going every day? The potential to have an impact on others through what I do — designing clothing that is inclusive, on trend and with such a broad reach is very gratifying. Have you ever made a mistake that changed how you did things? Early in my career I made the mistake of trying to do everything myself. Now I rely more on others and am finding ways to help others grow and build their strengths, which has been super helpful to my own growth and success. I love the book The Four Agreements: A Practical Guide to Personal Freedom by Don Miguel Ruiz, which isn’t a career-focused book per se, but imparts such amazing wisdom on how to be a better person to yourself and in relationship with others, which resonates in both personal life and career. Started at Old Navy after college and racked up 10 years of store merchandising experience, moving up from assistant merchant to director and moving over in 2015 to lead the women’s digital merchandising team. Had a baby girl nine months ago and wants you to know: you can be a nursing mom and lead a team. You, not your boss, own your career. You need to be the sole person to drive your career forward. Don’t wait around for your boss to talk about developmentals or next steps. You drive it and own it! Instagram, Feedly, my daily feed of bloggers I follow and my own co-workers at Old Navy! Also, we have a trend funnel review prior to the beginning of planning every season, where Design presents the latest trends of the season. Each time we do it, I want to burn my entire closet and go shopping! 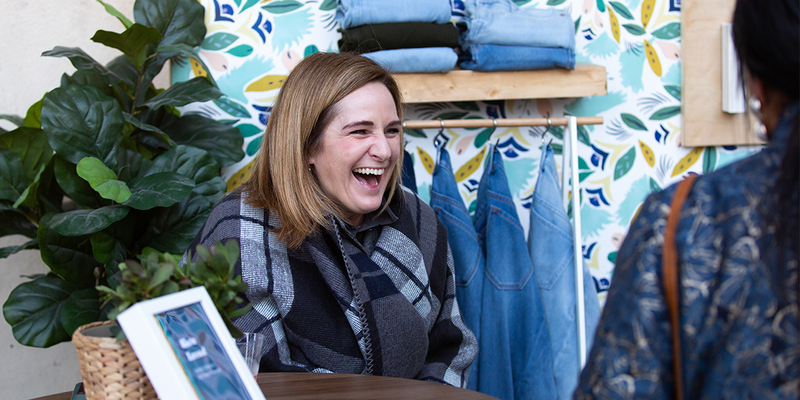 If you’re looking to grow your career at a company whose leaders share your entrepreneurial spirit, click here to check out open jobs at Old Navy. And follow Old Navy on LinkedIn for news and more opportunities.